Atlas Plan porcelain stoneware slabs for the bathroom. 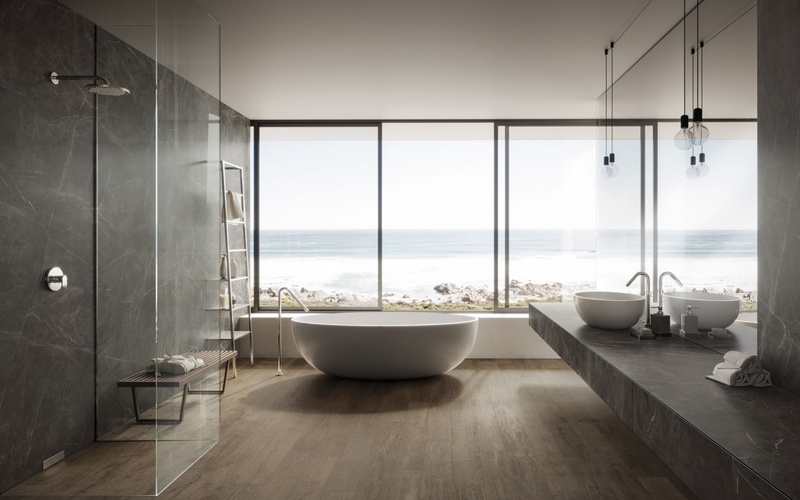 Porcelain stoneware is the perfect material for use in bathrooms, for the most decorative elements as well as the most functional. Marble, stone, metal, concrete, terrazzo… every effect is combined with other materials and furnishing accessories to make this domestic space a real haven of relaxation. Porcelain stoneware coverings for bathroom countertops, cabinets and vanity units. The bathroom is increasingly a haven of wellbeing and an expression of self. Laundry room, fitness area, spa, hammam… porcelain stoneware effects recreate the style best suited to individual ideas on the bathroom: concrete or stone effect slabs to recreate a modern and minimalist space, marble effect for a luxurious bathroom, metal effect for a bathroom in the metropolitan loft style. 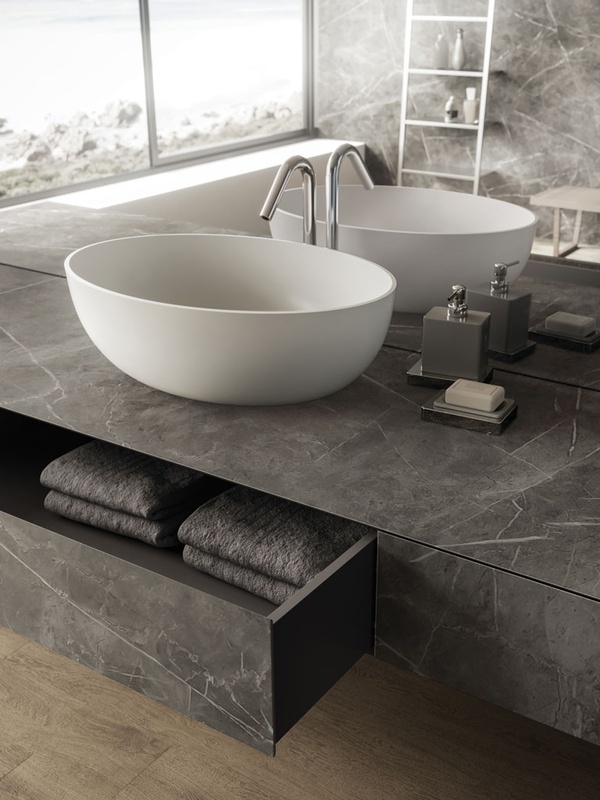 Atlas Plan porcelain stoneware for horizontal surfaces, bathroom countertops and vanity units. 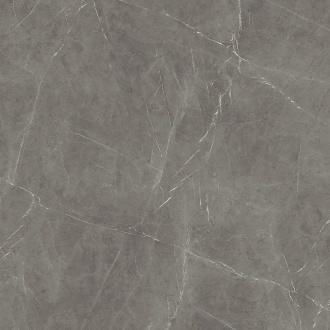 Bathroom slabs in porcelain stoneware available in the thicknesses: 6, 12 and 20 mm. One size (162x324 cm) available in various finishes: silk, lapped lux, matt. Porcelain is ideal for uses where maximum hygiene and durability must be guaranteed.